Patty was born and raised on Long Island. She comes from a long line of Nurses, Police and Firefighters; which plays a big role in her passion to help others. She is a huge water sports enthusiast/competitor and goes for the WIN in all that she does. She knows how to work hard and play hard. Patty first landed in Florida in 1984 where she began her financial services career with The American Express Company in Fort Lauderdale. Having been trained and coached by some of the most notable business experts in the country, she was put on the fast track to success. After just 5 years of devoted service within their fraud /credit division; Patty was promoted and relocated to The American Express Eastern Regional operations center. During her time there she was a part of an elite “Special handling” division which serviced the company’s most affluent customers with their emergent special needs both in the U.S. and abroad. Patty further advanced her financial services career by moving to the Prudential Insurance and Financial Services Company as a Registered Representative holding various federal securities licenses and insurance licenses. Patty’s primary function was to establish various types of pension funds for small to mid-size businesses as well as provide wealth preservation and capital appreciation via investment/insurance strategies to private individuals and their families. Making her way back to Florida in 2005, she was eager to live the “Cape” life while embarking on a long desired Real Estate career. Patty was able to put her skills to work immediately, as the real estate crisis made Cape Coral “ground zero” within the market crash. Bringing financial solutions to several hundred homeowners “upside down”, private investors and yes lenders too. Patty has spared over 200 homeowners from foreclosure, has liquidated 300+ bank owned properties and has liquidated over 50 million abandoned mortgages prior to foreclosure. 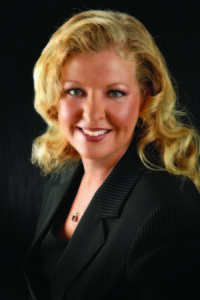 Currently Patty is focusing on general Real estate sales, commercial acquisitions and leasing. Let Patty’s strong communication skills along with practical real life problem solving skills help uncover your needs and help you achieve your goals in this ever changing real estate climate.